Hollywood Is Skinnygirl Bethenny Frankel dating Modern Family’s full-figured Eric Stonestreet? RECENT HEADLINES Marriage: What's in a promise? Is Skinnygirl Bethenny Frankel dating Modern Family’s full-figured Eric Stonestreet? Jewish education organization ORT America has appointed Igal Zaidenstein, an attorney, veteran fundraising executive and resident of Los Angeles, as the director of its West Coast region. Zaidenstein, who was born in Israel to parents who made aliyah from Paraguay, is fluent in English, Hebrew and Spanish. He studied political science at Tel Aviv University. “I have a lifelong passion to strengthen Israel-Diaspora relationships,” he said. He previously served as the West Coast director of the Bnai Zion Foundation and as political adviser for the American Friends of Citizens Empowerment Center in Israel. He is also the founder of the young professional group The Israeli Forum. ORT America is a nonprofit organization that serves 300,000 students annually and operates technical schools in more than 50 countries. 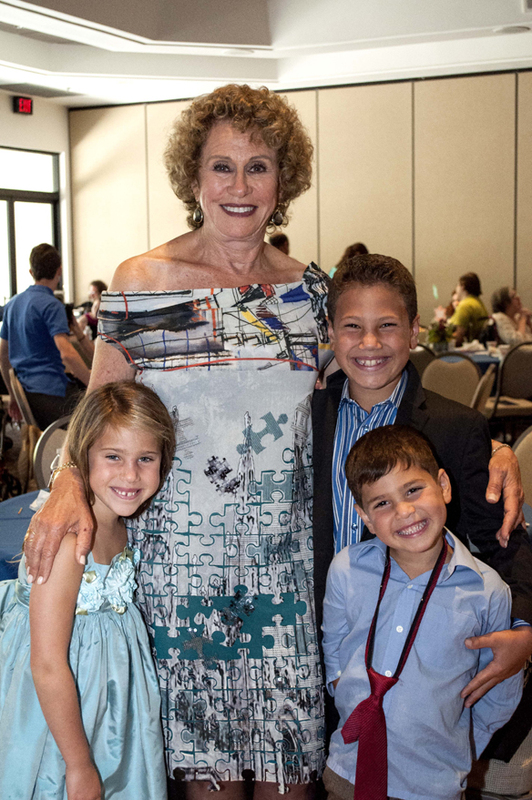 Jewish Family Service of Los Angeles (JFS) honored Ellyn Gelson during its JFS Chaverim Shining Star Fundraiser at Shomrei Torah Synagogue in West Hills on June 29. Approximately 250 people turned out to the annual event that raised $40,000 and highlighted JFS Chaverim’s commitment to serving adults living with developmental disabilities. Gelson’s son, Jordan, who has Asperger’s syndrome, is among those who participate in the program’s life-skills groups, field trips and exercise programs. Gelson, a Los Angeles resident and Miami native, has supported Chaverim for the past eight years, according to a JFS press release. “Ellyn Gelson exemplifies the type of strong leadership we look for in our supporters and in our volunteers,” JFS CEO and President Paul S. Castro said. Musical duo Andy Hill & Renée Safier provided entertainment. UCLA student David Chernobylsky received the Jewish Academic Innovation Award on Aug. 8 in recognition of “All Kinds of Meshugas: The Temporary Insanity Defense Under the Jewish Prism,” a research paper that connected Jewish values to a sensational murder trial in the 1980s in which the defendant argued that his wife’s nagging drove him to kill her. 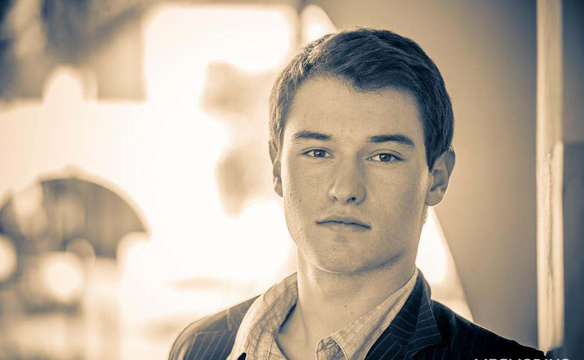 Chernobylsky, 20, who is majoring in microbiology, immunology and molecular genetics, said he learned about the trial of Steven Steinberg while volunteering in the literature therapy program at Kaiser Permanente in Woodland Hills where he discovered the 1988 book “Death of a ‘Jewish American Princess’: The True Story of a Victim on Trial.” Incensed by what he read, he turned to the Talmud and other Jewish texts for answers. His award-winning presentation, which he delivered during a Sinai Scholars Society event in Chicago, synthesized all that he learned in the process. Rabbi Dovid Gurevich, co-director of the Chabad House at UCLA, and New York University Hebrew and Judaic studies professor Lawrence Schiffman worked with him on the presentation. 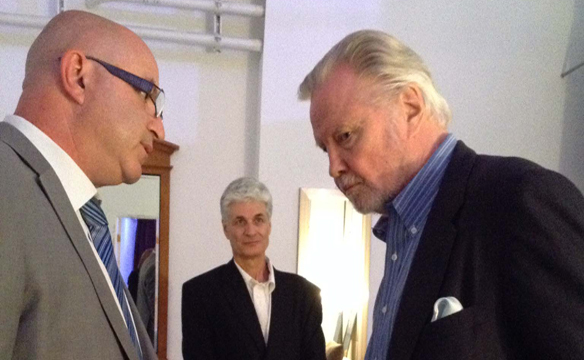 An eclectic crowd of more than 100 people — including actor Jon Voight, in a surprise visit — gathered Aug. 17 at The Mark in solidarity with Israel’s Soroka Medical Center to raise funds for the hospital’s emergency campaign. Located in the Negev, Soroka is the only major medical center on the southern front of Israel’s war against Hamas during Operation Protective Edge, and it is treating many wounded soldiers. Other speakers included Dana Erlich, Israeli consul for culture, media and public diplomacy in Los Angeles, who mentioned how the hospital strives for coexistence and said that no one is turned away. Rabbi Mordecai Finley from Ohr HaTorah in Mar Vista, whose daughter is in the IDF, also spoke in support of Israel. The evening opened with Tamara Gabriel singing “Hatikvah” and “The Star-Spangled Banner.” There was a social hour full of refreshments and camaraderie, and the event ended with a live auction and a small raffle. The auction featured an original work of art by Anat Marin and a basketball signed by Maccabi Tel Aviv. JewishJournal.com has rules for its commenting community.Get all the details. Don’t miss any of the latest news and events! Get the Jewish Journal in your inbox. Young Jewish life is alive and well in revamped Downtown L.A.
weekly in the West – and the monthly glossy Tribe magazine (TribeJournal.com). Please support us by clicking here. © Copyright 2015 Tribe Media Corp.